The Armenian Youth Federation (AYF) hosted their 81st annual Olympic games in Detroit this past Labor Day weekend. Close to 1,000 people of all ages came to cheer on their favorite athlete as they participated in tennis, golf, swimming and/ track & field. This is a tradition that friend and families of the AYF look forward to each year. Memories and relationships are paramount at this weekend. For the past 4 or 5 Olympics held in Detroit, I have been part of the steering committee in some fashion. This is a span of over twenty years. Sometimes I think I am getting too old for this, but in the end – the weekend was well organized and all seem to have a great time. The first night consisted of Hachig Kazarian, Richard Hagopian, Mal Barsamian and Jason Noroian. When we planned the music for the weekend, we knew the power and attraction of both Hachig and Richard. Icons of Armenian music with a combined performance power of over 100 years and thousands of gigs across the country. I hadn’t seen Hachig (clarinet) in this setting in many years and his tone is as rich today as it was decades ago. I truly am looking forward to interviewing him for the documentary! 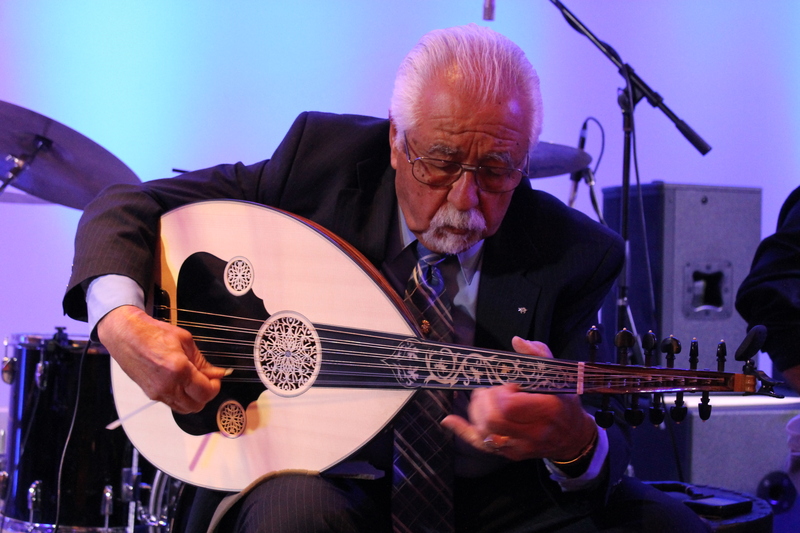 Richard still has a major command on the oud (lute) with a voice that resonates the sounds of old country villagers belting out their folk songs. His style has not been duplicated and I would be surprised if we ever heard another Richard in the future. Sunday night consisted of a large group that included John Berberian and Onnik Dinkjian. Two icons in Armenian music with a vast history of both recordings, live performances and continued following by many generations. Onnik, who is in his 80s still has a velvet sound that is unparalleled. John who clearly still loves the music has a fast and almost flawless approach to his oud playing. Yes, these are the masters, but it was equally enjoyable to listen to Mal Barsamian who I performed with at one of the events during that weekend. A multi-instrumentalist, Mal came to Detroit to play sax, clarinet and guitar. Sometimes it is hard to say which instrument is better in his hand! A true musician. 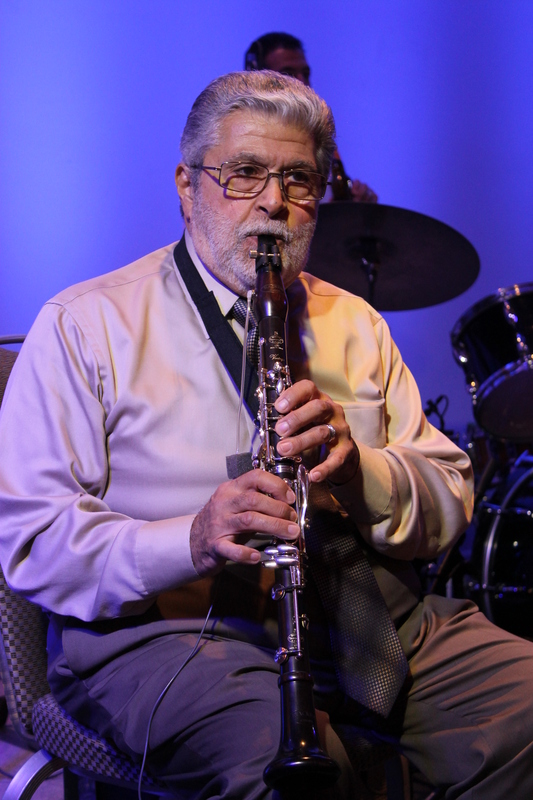 Steve Vosbikian is a young clarinet player that I was able to see live for the first time since he was a young boy. Exceptional and when you hear his style – you smile. You know he is doing his father (son of Steve Sr of the Vosbikian Band) and his ancestors proud in his love for the music. Simply put…it was a weekend of good music. Here is the best part – they danced. The crowd loved listening and watching both the legends and contemporary musicians perform which I think is the most important part of this posting. Tradition continues…. Nice choice of a snippet from the Grand Ball Night.